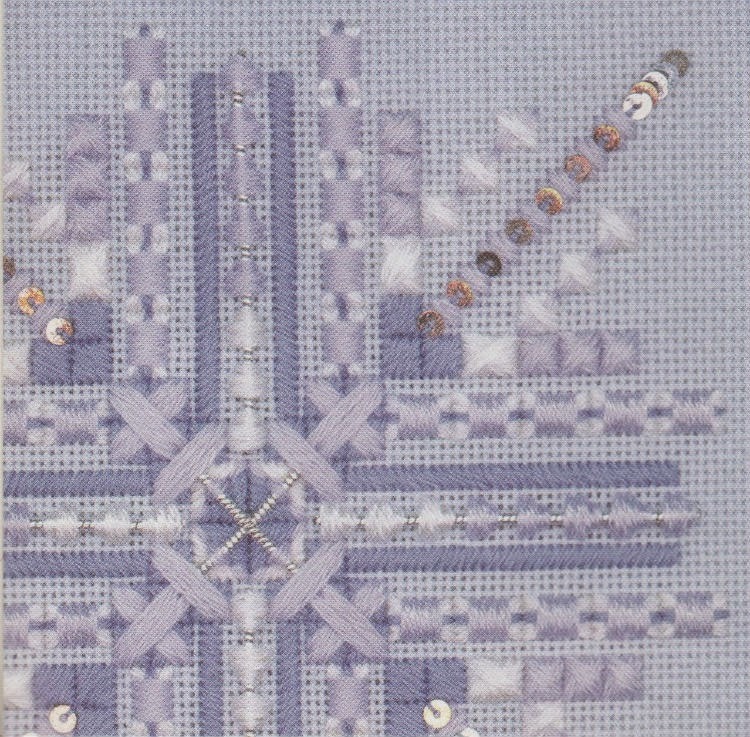 EAC’s Embroidery Canada is a great resource for patterns. 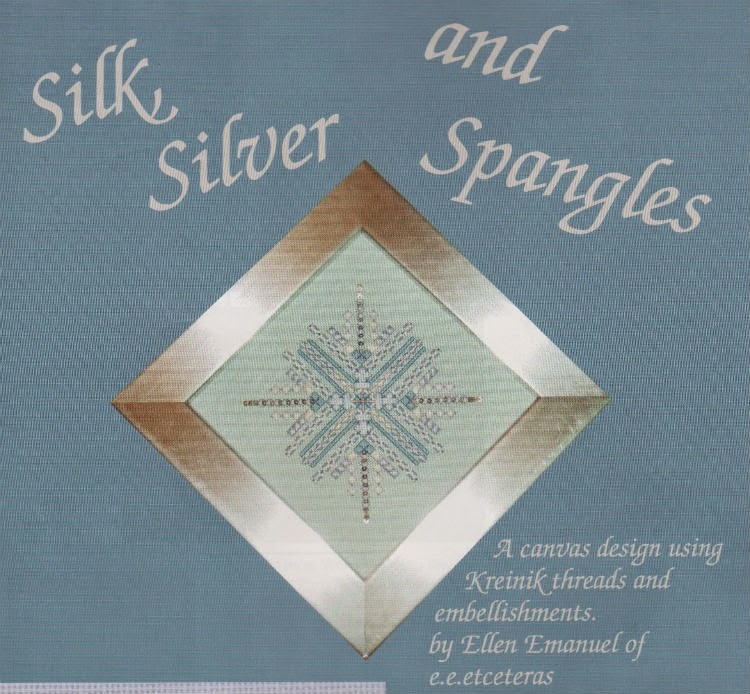 In the December 2004 issue of Embroidery Canada, there was a pattern by Ellen Emanuel called Silk, Silver and Spangles . Anyone who knows me knows that I like colour. So what colours did I select and how what the final stitching completed, you ask? 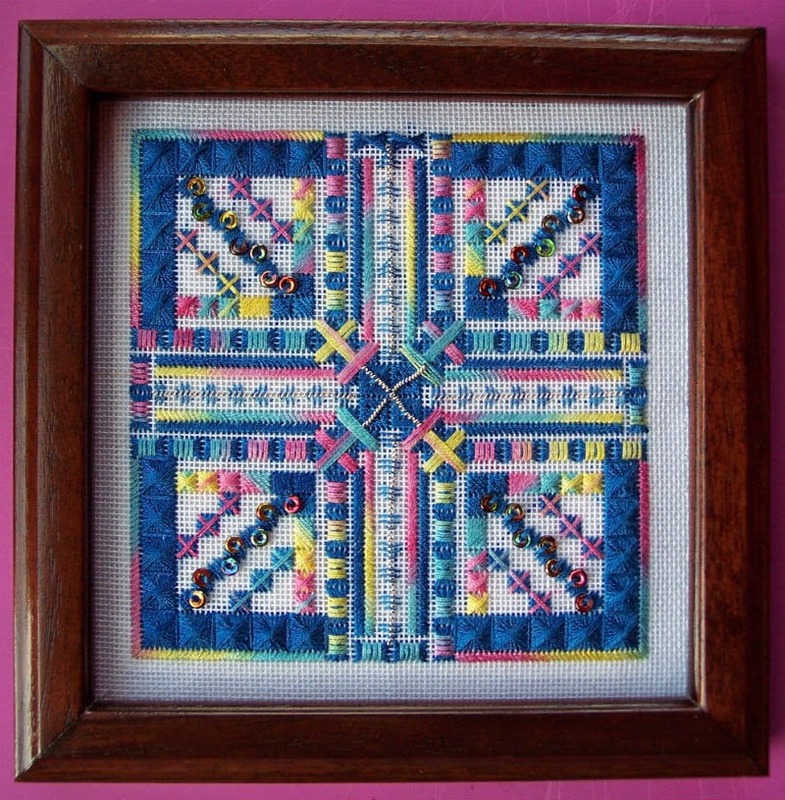 I looked at the design and had a 5” walnut trivet frame from Sudberry House. This pattern used silver Pearl Purl but I found that this metal thread was covered too much with silk thread in original design. I wanted to display and feature this metal thread so only used a single strand of thread to secure the Pearl Purl to the white 18-count canvas I used in this design. 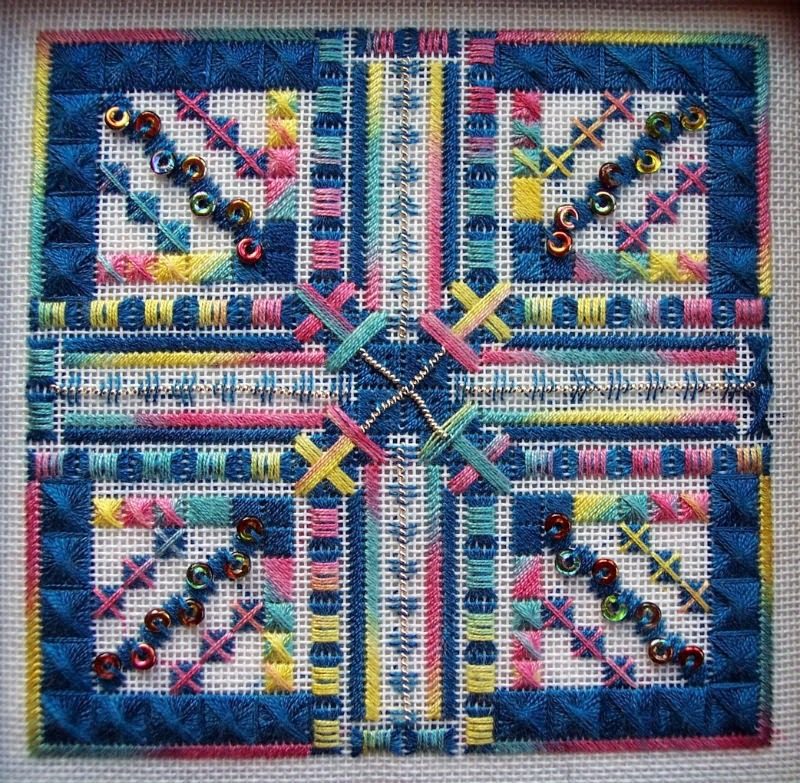 As I planned to insert the finished stitching into the trivet frame I choose to add more borders to frame the design for the trivet. 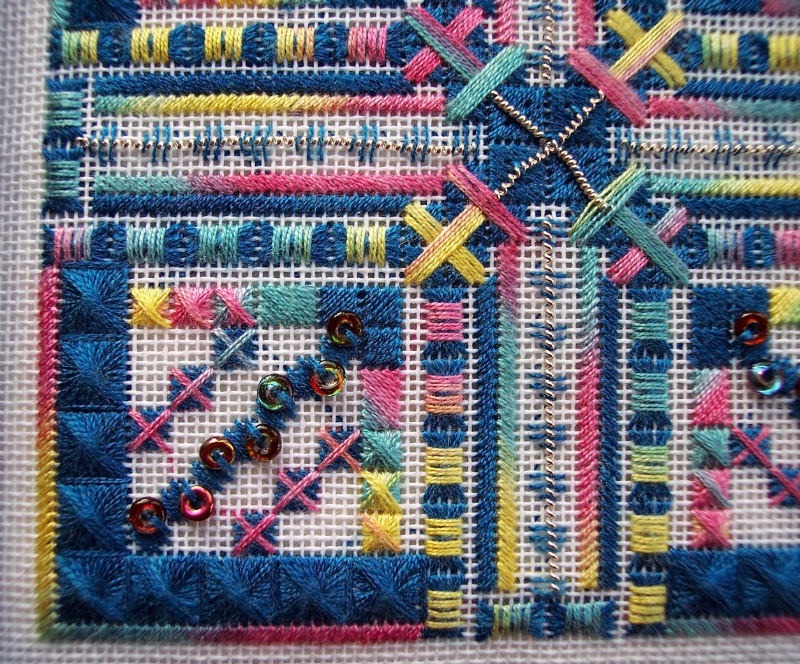 A variegated pastel thread was used along with a solid blue. I found some lovely beads to replace the paillettes in the original design. I liked the finished product and I trust the recipient will enjoy this piece as well. Share how you completed an EAC pattern, changed it and the colours you choose. I am sure other members will enjoy seeing how we each adapt a pattern as we get ideas on how to alter a pattern that might be more pleasing to ourselves. Wonderful adaptation Jennie! I love both the original and your version of it!